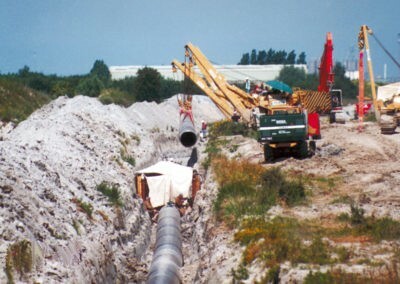 A 14km high pressure gas pipeline needed to be laid through the northern part of Calais. 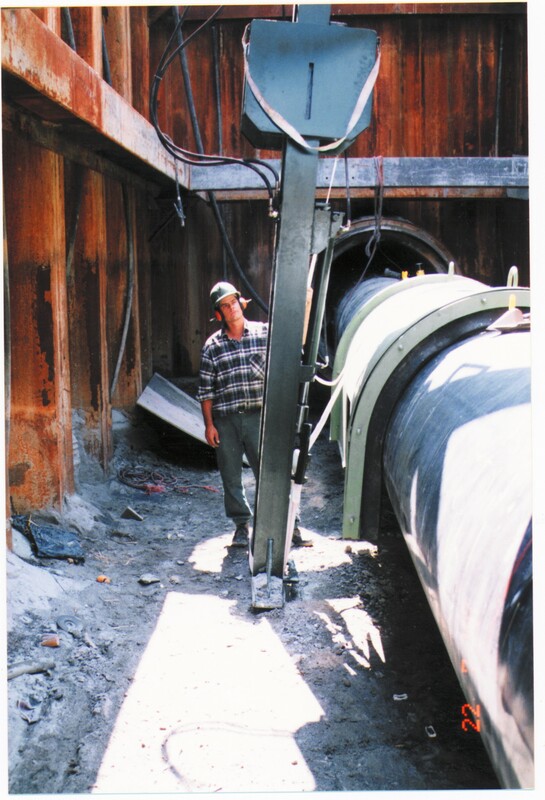 High water levels meant that buoyancy control measures were required to hold the pipeline in position. 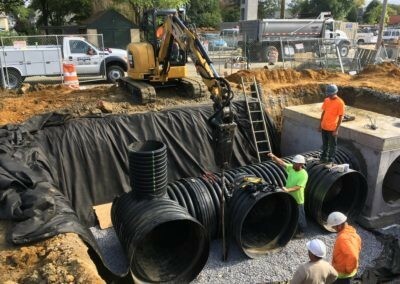 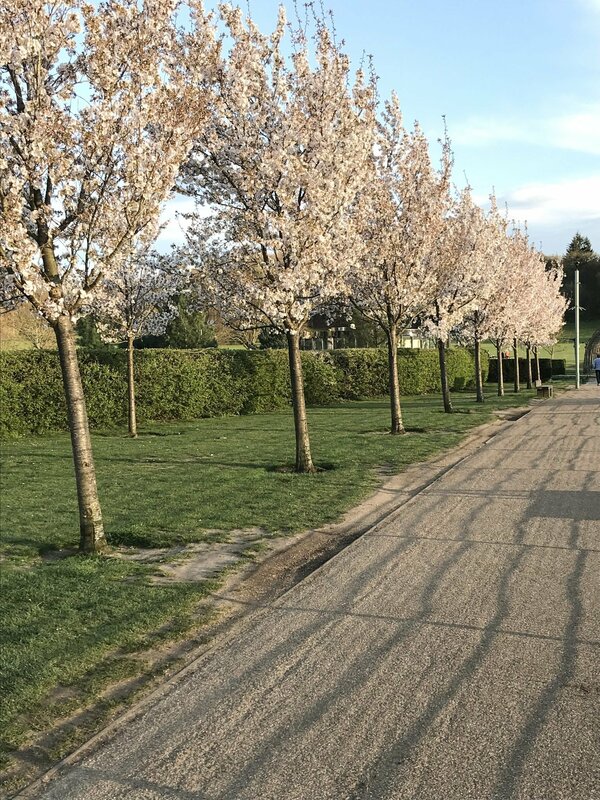 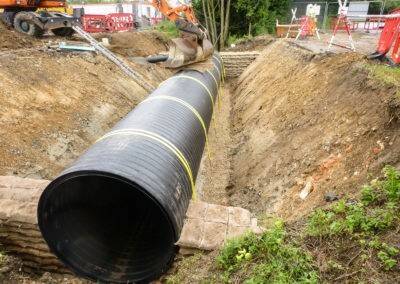 Conventional methods were considered too expensive so an alternative solution, with minimal environmental impact, was required. 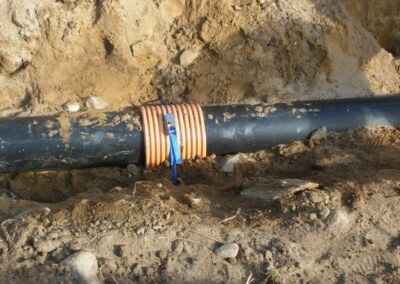 Extensive site tests were carried out, which determined three anchor sizes were needed to achieve the required load of 75kN. 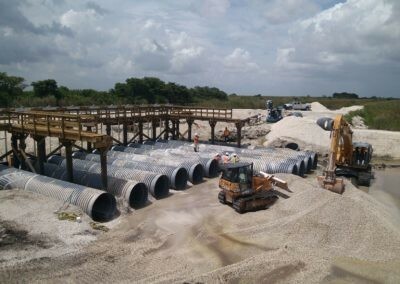 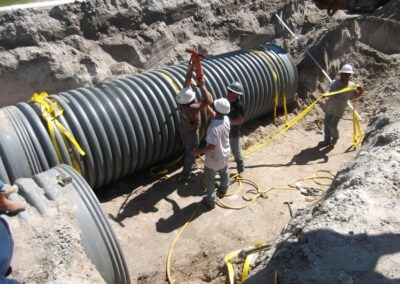 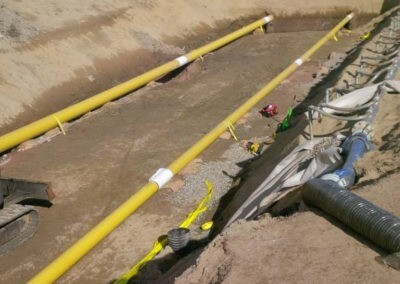 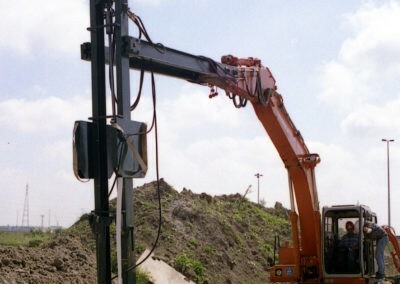 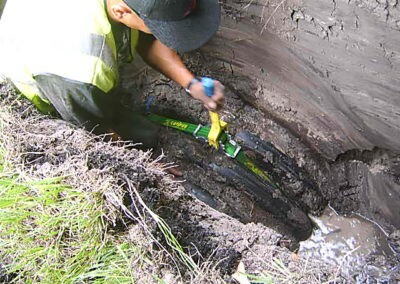 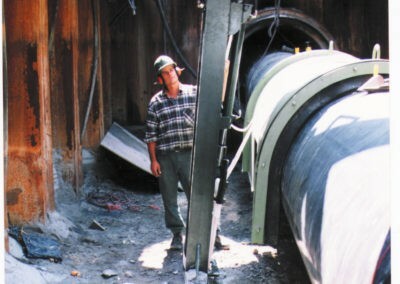 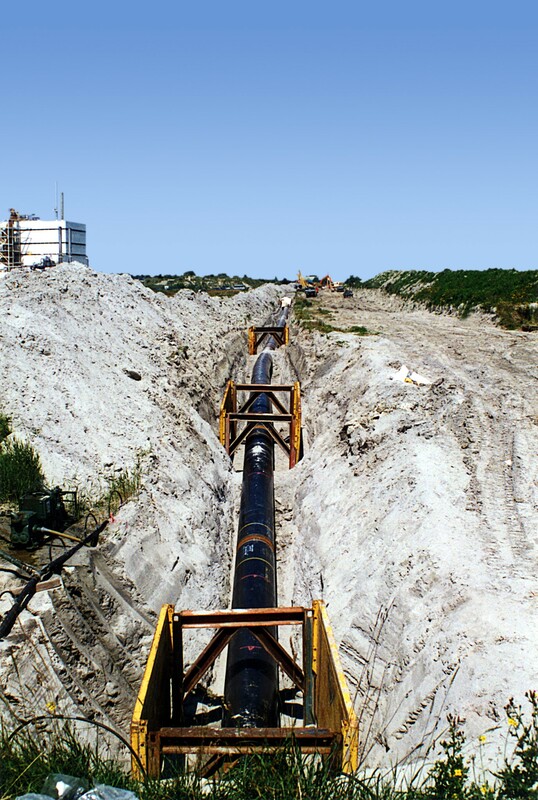 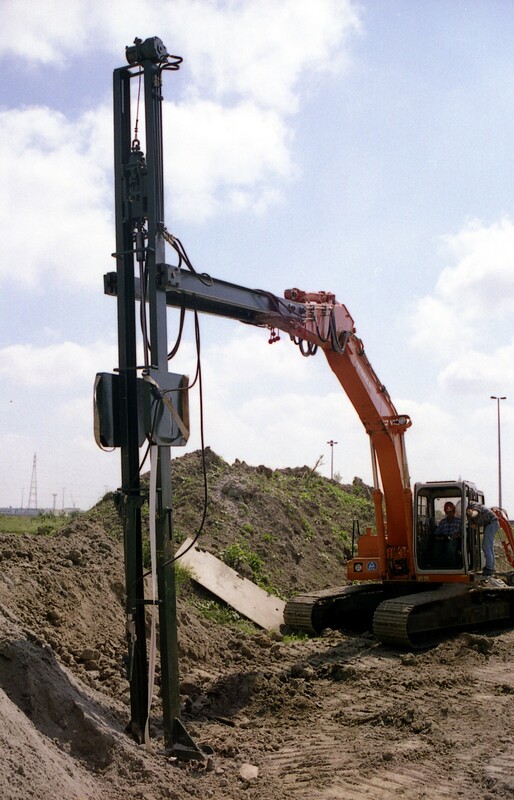 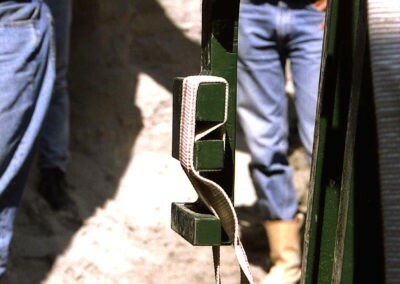 At calculated distances, anchors were installed either side of the 1m Ø pipeline, proof loaded and connected together using a specifically engineered tensioning system. 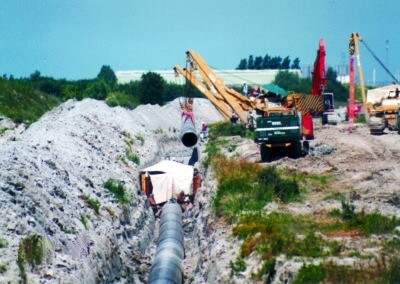 Finally, the excavated soil was backfilled concealing all evidence of the pipeline. 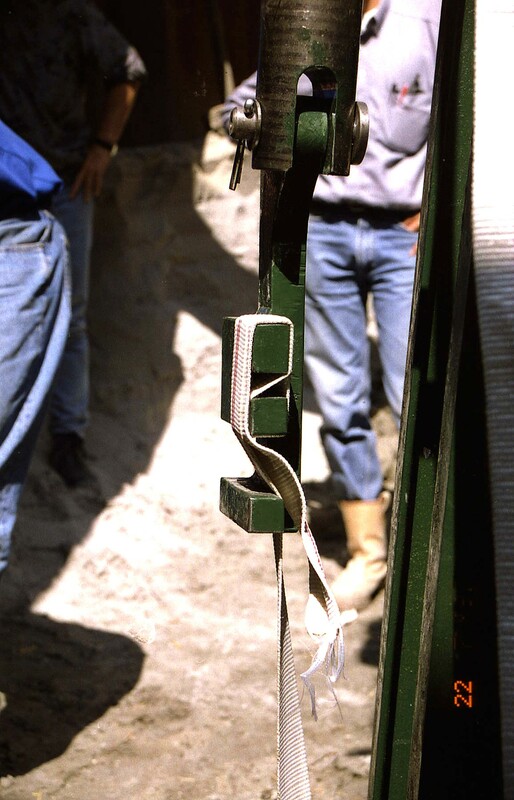 Pipeline Anchor System: B4TB, B6TB & B8TB aluminium bronze anchors c/w 5m & 8m of high strength polyaramid strap & stainless steel tensioning buckle.